Laboratory studies, say David Dinges (professor of psychology and psychiatry at the University of Pennsylvania), show that lack of sleep undoubtedly leads to weight gain. A large study (15,000 people) showed that African-Americans sleep longer per night than white Americans. There is however considerable spread in the data. African Americans are more likely to sleep less than average, and also more likely to sleep more than average. Interestingly, it was also found that African Americans’ blood pressure doesn’t drop at night as much as it does for white Americans. By the age of 5, kids with a bedtime routine (i.e. reading bed-time stories) outperform kids without bedtime routines in cognitive tests. Alcohol helps a person to fall asleep, but the quality of the sleep is reduced. A test was done asking volunteers to go to sleep in a laboratory. Before they went to sleep they all read the same book, half in paper form and half in iPad form. The iPad readers found it harder to sleep, and once asleep their sleep was lower quality. People at opposite sides of the same time zone get up for work at the same time, but tend to go to bed at different times (because of when the sun sets, earlier in the East, and our body clocks tend to follow the sun). This gives us a massive data-set to study the effect of different amounts of time spent sleeping per night. 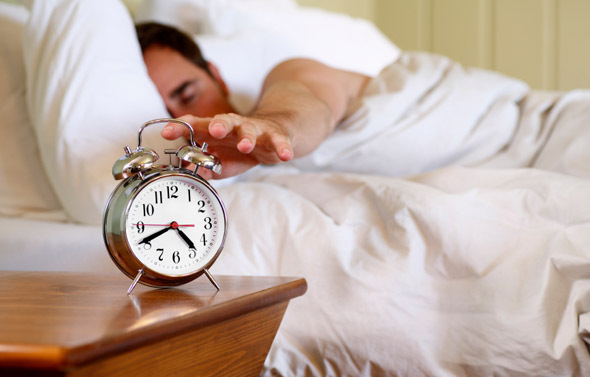 Sleeping for an extra hour per week means a wage increase of 4.5%. Sleeping for an extra hour per night, means a wage increase of 16%. Ten year ago in Denmark, those who preferred to get up early earned on average 4-5% more than those who preferred to get up late. This was explained by most businesses insisted on workers arriving at 8 am. In the last ten years many businesses have introduced flexible working hours; and the wage gap has decreased considerably. The two podcasts draw on a great range of academics and studies…that don’t always agree with each other, even over the deceptively simple question of “do people who sleep more earn more?” For more insights, read part 1 here and part 2 here. Should We Re-Regulate The Airlines?